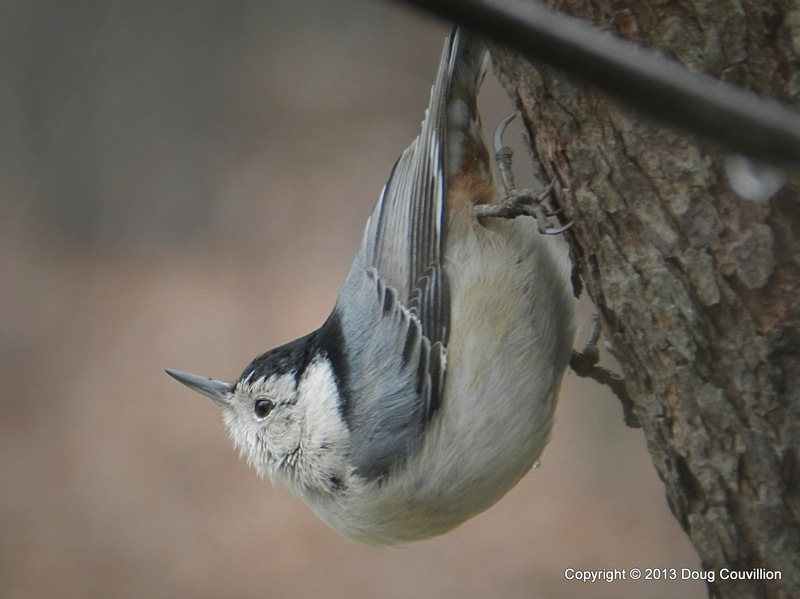 White Breasted Nuthatches have the odd habit of creeping down tree trunks. 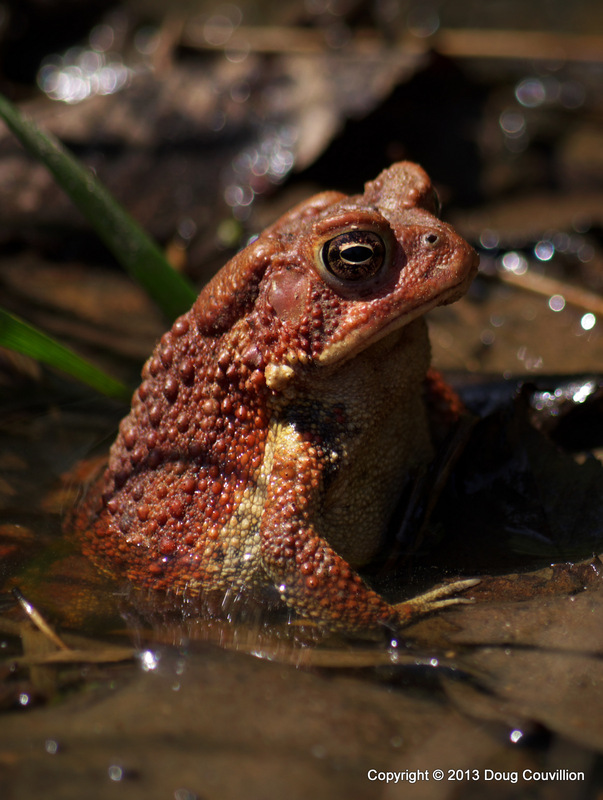 This one stopped to survey it’s surrounding. In the process it showed off it’s flexibility by craning it’s neck more than 90 degrees to assess the scene. This photo was taken on a rainy day and you can see a tiny drop of water clinging to the bird’s belly. Animal tracks always catch my attention but they aren’t always very photogenic. These bird prints were on a beach along the James River. 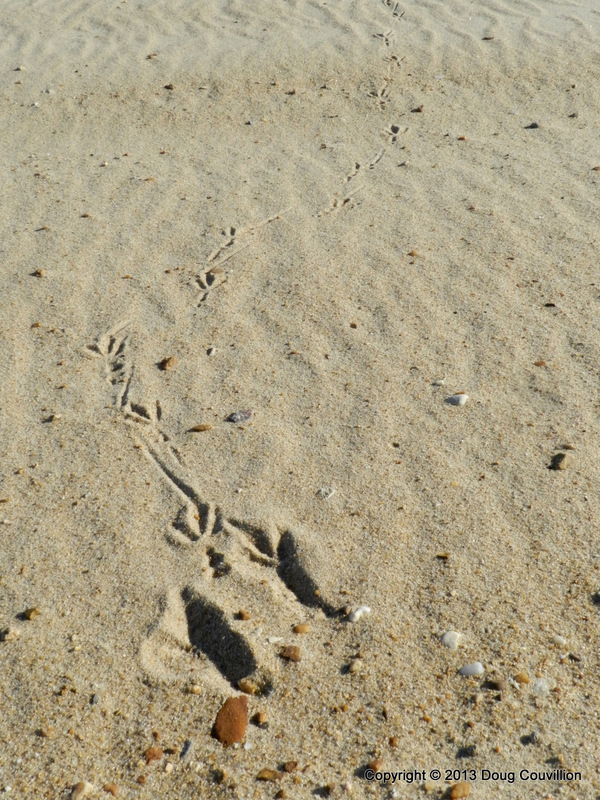 It would be impossible to identify the type of bird that left them but the deeper, wider prints in the foreground indicate the bird landed here and then hopped along the beach before taking flight. The early morning sun provided enough shade within the prints to make them stand out in the photo. 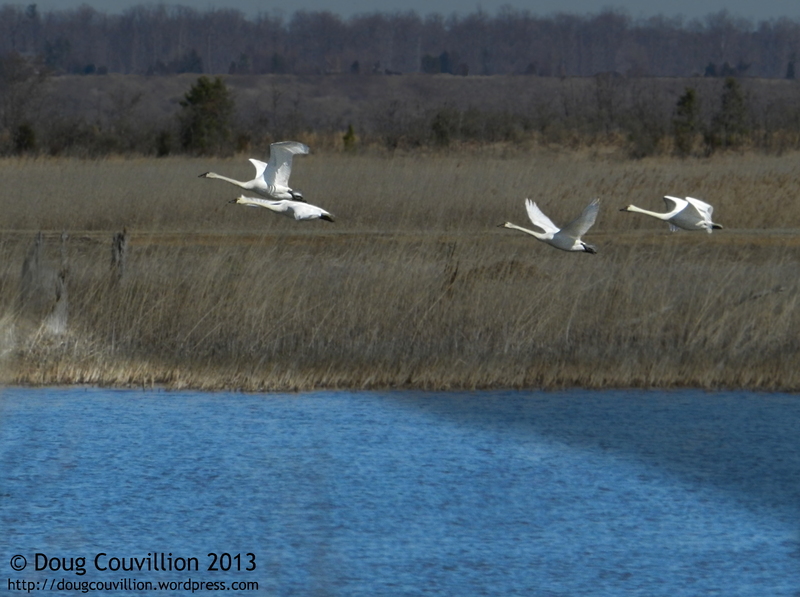 I watched these tundra swans paddle around in the water for a while and hoped they would take flight. When they finally did I was able to capture a few photos. 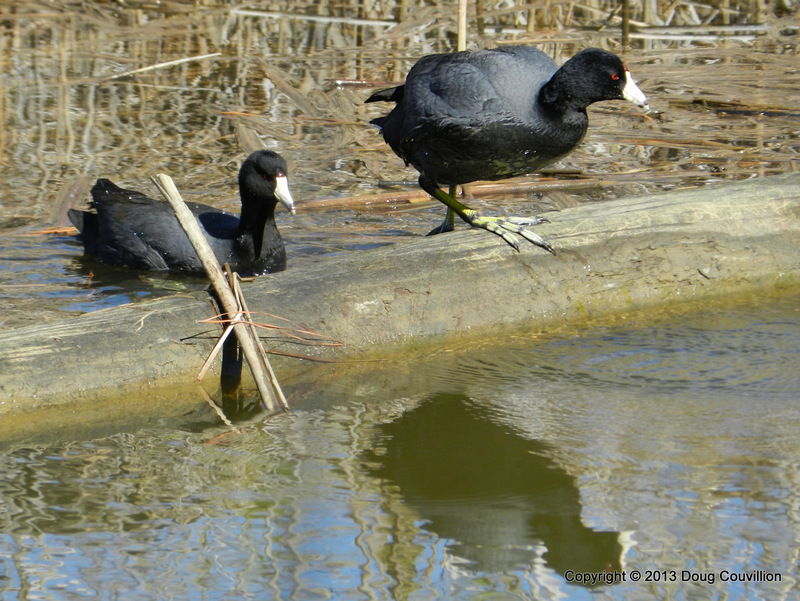 The American Coot is a rather funny looking bird. They break the old rule that says “if it looks like a duck and sounds like a duck, it must be a duck”. They are actually more closely related to rails and cranes. 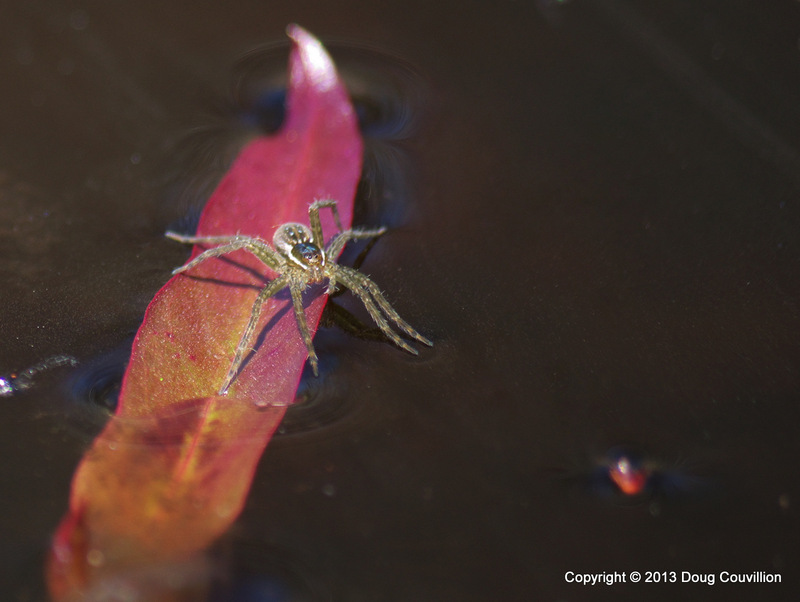 When you get a good look at their feet, which are not webbed, you realize they must not be ducks. 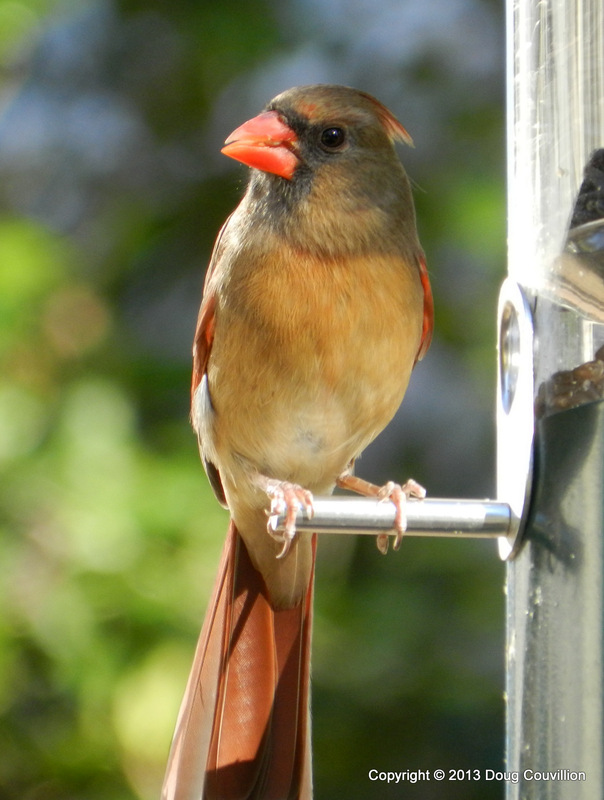 This female cardinal enjoys the sunflower seeds at my backyard bird feeder. I was out taking photos and the feeder was in full sun when I snapped this photo.